Eureka Entertainment: SALVADOR, WITNESS FOR THE PROSECUTION, more Jackie Chan! Oliver Stone's oft-overlooked political thriller Salvador is set to join the Masters of Cinema series on 17 September, as part of another impressive line-up of titles announced by Eureka! Entertainment. 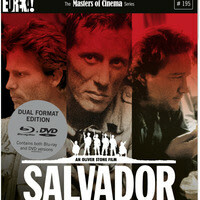 Released in 1986 but eclipsed by Stone’s other film from that year, Platoon, Salvador stars James Woods in an Oscar-nominated role as a sleazy photojournalist covering the horrors of the civil war in El Salvador in 1980, while Jim Belushi and John Savage offer excellent support. Billy Wilder returns to the MoC once again with Witness For The Prosecution. Adapted from Agatha Christie’s hit play, the film stars Charles Laughton, Tyrone Power, Marlene Dietrich and Elsa Lanchester in a thrilling courtroom mystery riddled with surprise revelations and shocking twists. It arrives in a dual-format release, on Blu-ray for the first time in the UK, on 10 September. 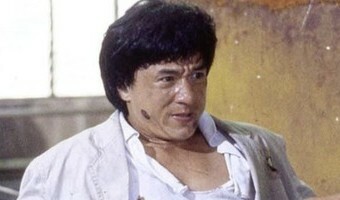 Jackie Chan returns once again in the action comedy City Hunter, inspired by the Japanese manga series, … [Read more...] about Eureka Entertainment: SALVADOR, WITNESS FOR THE PROSECUTION, more Jackie Chan!